Hornby RailRoad BR 4-6-0 '45025' 'Black 5' Class 5MT. 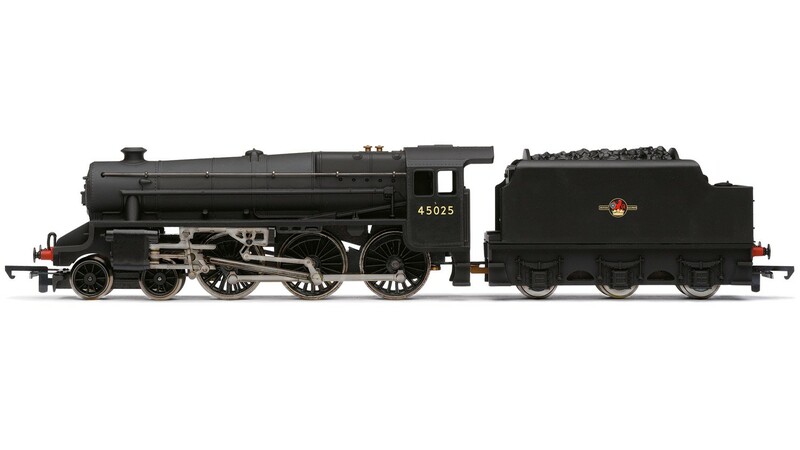 Scale: 1:76, Length: 256mm, DCC Type: DCC Ready, Livery: BR Lined Black, Designer: Sir William Stanier, Entered Service: 1934, Purpose: Mixed Traffic, Wheel Configuration: 4-6-0. Suitable Rolling Stock: BR rolling stock of the period. Note: This model includes top fill pipes that are not pictured.